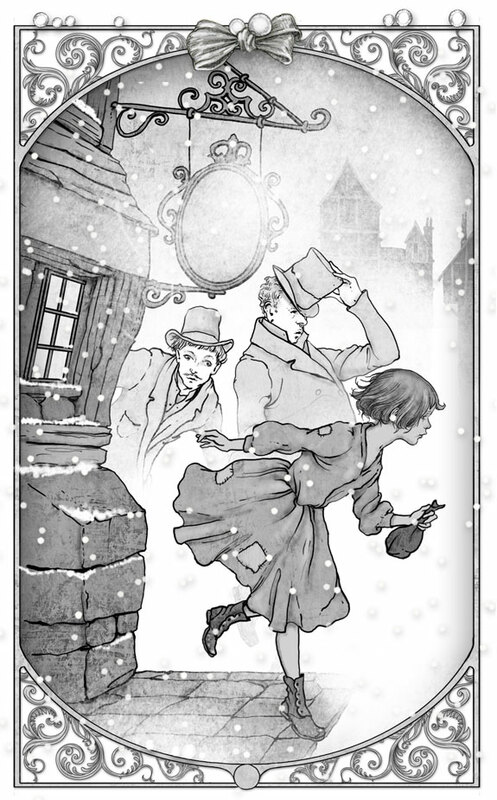 Yesterday I reviewed some “festive fiction”, perfect for the season, and part of this selection was an evocative Victorian novella by Emma Carroll. I was delighted when she agreed to write about how this lovely book came to life. It started with a phone call last autumn. ‘ We want you to write a Christmas novella,’ my editor said. 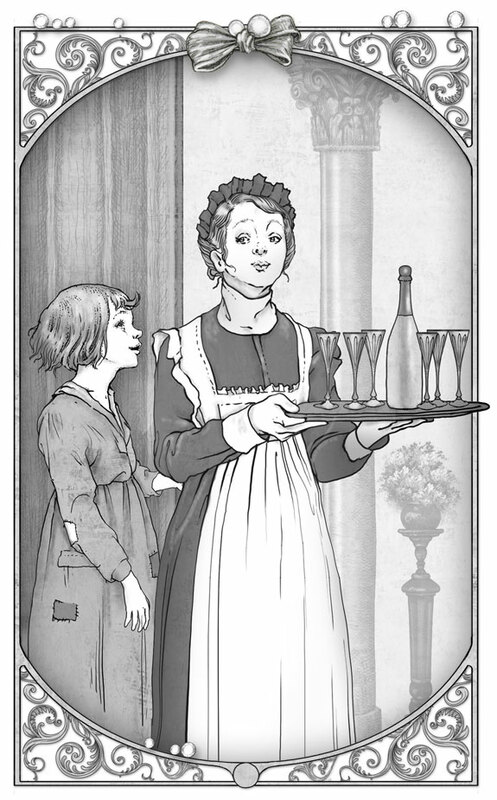 ‘ Something Victorian and old-fashioned like The Little Match Girl. With lots of snow. In 10,000 words. Can you do it?’ On the spot, all calm and sensible, I said I could. Much whooping and happy dancing later, I started writing. The first challenge was the length. I’d never written something this short before. My other books all had word counts of around the 60,000 mark, and to have to work in story arcs, character development, themes etc- well, lets just say things suddenly didn’t look quite so straightforward. Word count aside, there was also the subject matter. I wanted ghosts ( ok, I always want ghosts), but this time I had to compromise my spooky tastes a little, which was probably no bad thing. For what The Snow Sister lacks in creepiness, I more than made up for with my other pet love- snow. Lots of lovely, swirling, dizzy-making snow. It did feel a bit indulgent! Yet it wasn’t until I’d decided on a title that the story finally came together. The book is dedicated to my best friend Karl, who like me, is a complete snow nerd. Every winter we obsess about whether it’s going to snow ( and console ourselves when, more often than not, it doesn’t). Our sad nickname for each other is ‘snow sister’. Once I decided on this as a title, unresolved parts of the plot fell into place. Pearl had a motivation, a need. There was the central thread of loss and redemption, and that all-important festive message of the value of those we love. In the end, The Snow Sister was an absolute joy to write. Despite my worries it was, in many ways, the most enjoyable writing project I’ve ever done. And with Julian De Narvaez’s exquisite cover and illustrations inside, I think it’s also a joy to behold. Whether or not it’s a joy to read… well that’s for you to decide. 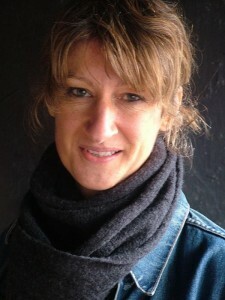 Many thanks Emma, Merry Christmas to you. 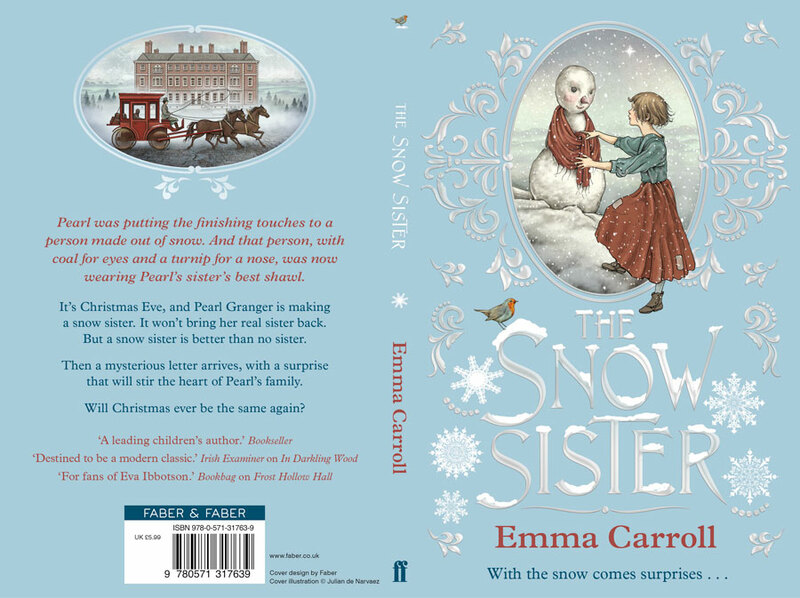 The Snow Sister is published by Faber Children’s Books and is out. You can purchase a copy here.